It's been forever since I picked up a fresh face mask in Lush but my skin hasn't been playing very nicely lately so I decided it was time to bring out the big guns and show it some love. I popped into my local Lush and had a little chat with one of the employees, regaling to him my skin woes and he just knew exactly what I needed. He recommended the BB Seaweed fresh face mask because it pretty much ticked every problem box I presented to him. My skin right now has been all over the show; excess oil, break outs, redness, dry patches, you name it my face has sported it of late, frustrating much? BB Seaweed is filled with nutritious ingredients that will feed your face with all the goodness it needs to get right back on track. Designed for skin that's perhaps been through the mill lately, it tackles most skin woes. Rose absolute will calm and balance the skin, olive oil moisturises, seaweed and aloe vera soothes and softens. 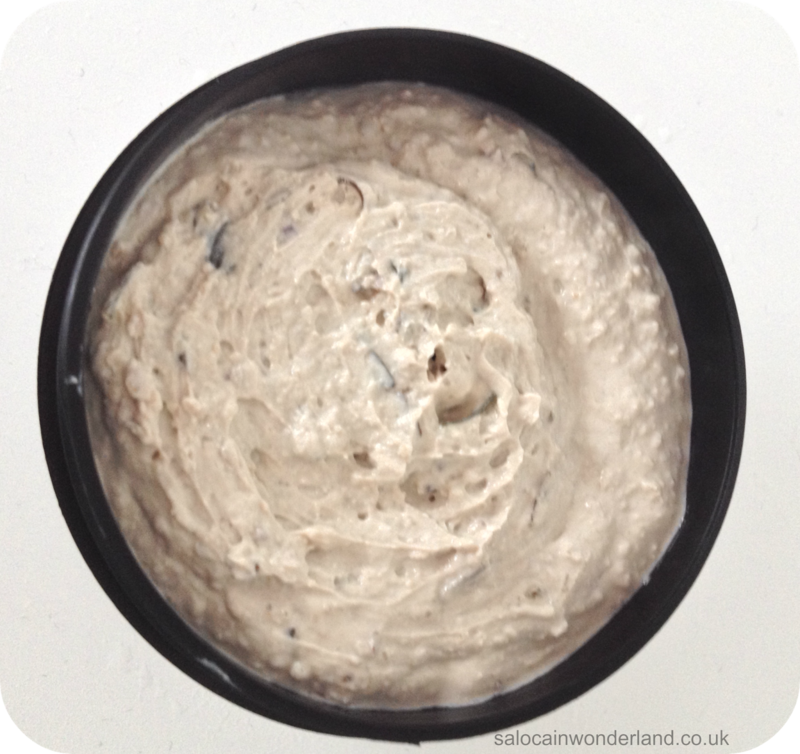 There's also rosemary for regeneration of damaged skin cells, kaolin to mattify and remove excess oils and a few millet flakes for gentle exfoliation. This ticked all the boxes for me so into my basket it went. I had a good chat with the employee about how I've been so run down and sick lately, he assured me this would help to put some life back into my skin and improve its current condition. He also recommended me the Eau Roma Toner which I'll be talking about later this week. As soon as I got home I thoroughly cleansed my face, patted dry and applied the mask. I love the fresh face masks as you have to keep them in the fridge - so when you apply them to the skin they are really cold and feel amazing - like when you purposefully put your feet onto the cold patches when you're in bed! I smothered my face in the mask and left it on for 10 minutes. The mask itself feels mildly grainy but goes on smooth - the chunks of seaweed can be a pain though, they often fall off my face when I'm applying the mask making it extra messy. Excuse the blurry Instagram close up! The mask dries in about 10 minutes but it's not that uncomfortable, 'I feel like there's cement on my face' kind of drying, you can comfortably smile and talk - if you're brave enough to face another human being when looking like the creature from the deep! The mask smells really nice, and is nowhere near as over powering as some of the others. You can really smell the seaweed and aloe. I rinsed it off with warm water. It goes quite milky, so I massaged it in like a face wash. Again, the seaweed was a bit of a problem, clogging up the sink hole, so I now pick those chunks off my face before I use the water to take the mask off. It took a while to get it all off but afterwards my skin felt so refreshed. On the recommendation of another Lush employee, I went straight in with the Eau Roma Toner which really moisturised my skin and left everything feeling lovely. I've used this mask about 3 times now, and there's a least two more masks worth in the pot. They recommended you use the mask within 3 weeks of purchasing so I've been aiming for 2 - 3 masks a week, usually at night too. The dry patches have gone and my skin is feeling really supple and soft, the redness has also reduced around my nose (I'd had a cold for a while, my poor nose was in a right state!). I've had some tiny breakouts on my cheeks but I don't think this is down to the mask, I was having them before I started using it. My Mum isn't the biggest fan of fresh face masks, I think she worries that by keeping it in the fridge my brother will try and use it as a sandwich spread, so I've double bagged it and plastered a big 'DO NOT EAT' across the bag, so far so good! 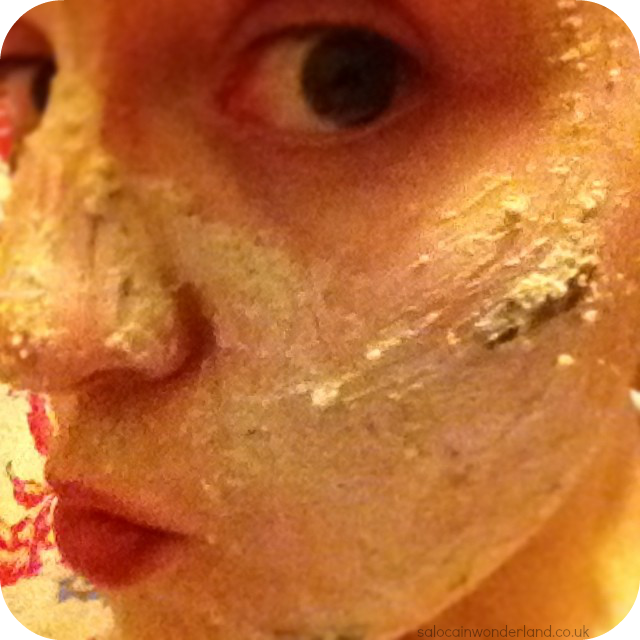 If you're in the market for a fresh face mask then I'd highly recommend you give this one a go! Be sure to have a chat with the lovely people who work at Lush too, they know so much about the products they sell, it's like having a free personalized skin consultation (which I actually think they do do if you ask for one, anyone know any more about this?). 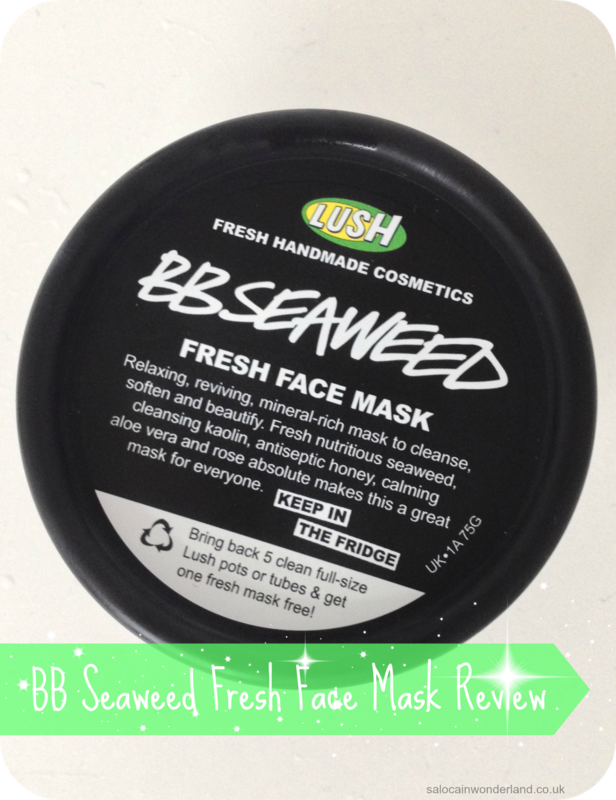 You can pick up the BB Seaweed fresh face mask for £5.95!